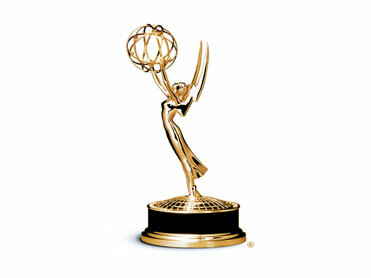 The A List: Happy Emmy Day! Television junkies never enjoy summer hiatus. The quality of programing is never as high, and we anxiously await the fall line-up. One bright spot in the otherwise downpour of bad television is the Emmy nominations. Held this morning in North Hollywood, California, the nominees for the 62nd Annual Primetime Emmy Awards were announced (see below for list, my choices are underlined). While most of the choices were quite predictable, I'm upset to see a certain show ignored. Case in point: Ugly Betty. The ABC drama was cancelled earlier this year thanks to dismal ratings, but the acting on the show was superb. Lead star America Ferrera always shone as the not-so-ugly Betty, and Mark Indelicato's Justin was this year's breakout cast member. His portrayal of a teenager trying to come out of the closet was one of the best performances by a teenage actor this decade. Like the cast, I'm a bit miffed that this gem was left out of the Emmy race. Here's to hoping the wonderful cast moves on to bigger and better Emmy-worthy acts. glee will not win a single award. im kinda surprised john lithgow was snubbed after winning the golden globe for his role in dexter this season. he was terrifying.